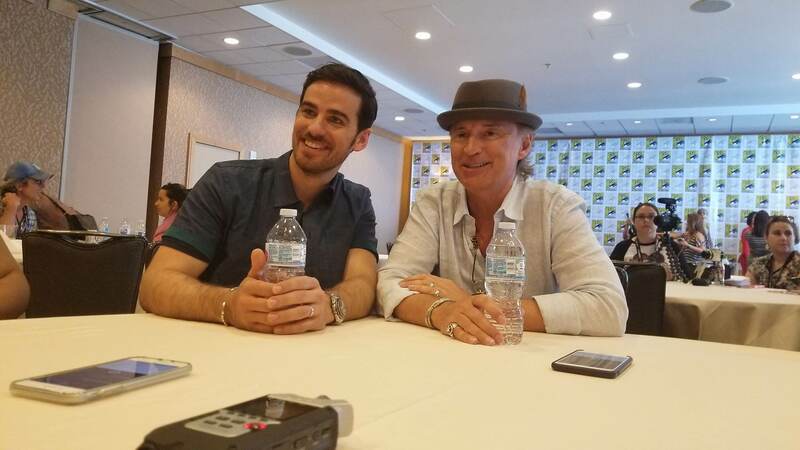 Once upon a time at San Diego Comic-Con, I sat down with the returning and new cast of Once Upon a Time. As a fan and a journalist-in-training, this was a once in a life-time experience. The cast’s excitement for the reboot was contagious, and as seen in the interviews below, the cast was wonderful to talk to. Get ready for the reboot by watching our exclusive interviews below! We ask the burning question of Rumple and Hook’s rocky relationship and what kind of grandpa Hook will make. Because I find it very important to know what Hook would be like as a grandpa. I find out about Regina’s growth from season 1 to season 6 and how it might play out next. Hmm any guesses what’s to come for our reformed Evil Queen and the introduction of Lady Tramaine? How will they carry on the iconic characters of Henry and Cinderella, and what is it like to come into a passionate fandom? I ask all about it. I ask about Captain Swan’s fate and the theme for season 7! Sounds exciting.